Nagoya station is the main railway station in the city, and around it has developed a modern, bustling commercial district that is called Meieki. By the term Meieki we thus refer to the area surrounding the main stations in Nagoya, and I wrote stations in the plural form because actually in this area there are three close but different "Nagoya station", belonging to three different railway companies: JR Nagoya station, Meitetsu Nagoya station and Kintetsu Nagoya station. The station of JR (Japan Railways) is the main station of the city, where also stop the high-speed trains connecting Tokyo and Osaka (Tokaido shinkansen). Right over the station you can find the Takashimaya department stores, which occupy the first 11 floors above the station (as well as two underground floors). while on the 12th and 13th floor is the Towers Plaza, an area with 40 restaurants serving Japanese and international cuisine. This station also boasts the "railway station with the tallest building in the world" record, the station is located at the foot of the JR Central Towers,two almost symmetrical skyscrapers, but in reality one of the towers is slightly smaller and lower than the other. The tallest tower houses offices until the 50th floor, on the 51st floor there is the Panorama Salon, with a café, a wine shop, a beauty salon and spa, all with stunning views of the city. 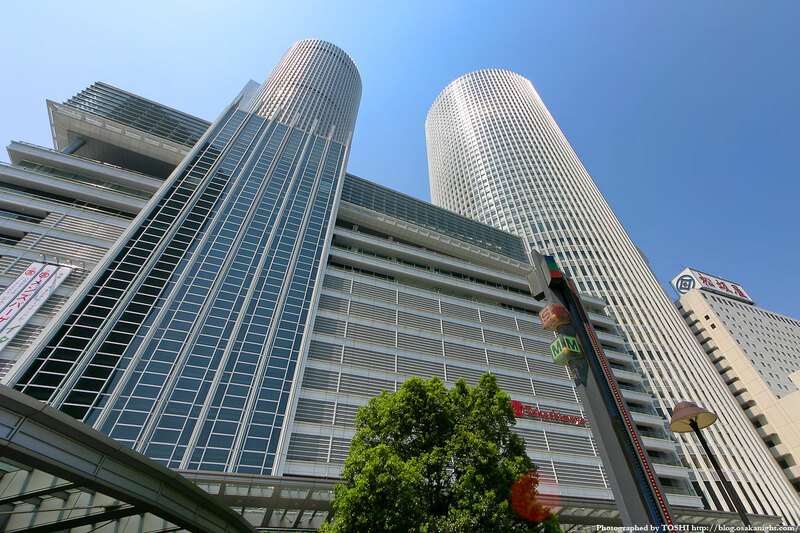 The smaller tower houses the Nagoya Marriott Associa Hotel, with two panoramic restaurants on the top floor. Formerly on the top floor of the highest tower there was an observation deck, which no longer exists. If you want to enjoy the view from these towers, which are the second tallest building in the city (245 m), you can take something or dine in the previously mentioned restaurants or cafes. Moreover, you could go to the 15th floor, where there is an area called Sky Street, with a close view to the busy streets around the station, or on the 16th floor, where the hotel reception is located, and from which you can admire a beautiful free view of the surrounding area. This railways station owned by Meitetsu Railways is located a few meters south of the JR station, and is directly connected to the homonymous Meitetsu department stores. These department stores are divided into two different buildings, the first building dedicated primarily to apparel and accessories for women and children, a second building is dedicated to menswear, it includes a branch of the electronics chain LABI and the top floors also houses a hotel, the Meitetsu New Grand Hotel. A few meters further south, just after the Meitetsu department stores, there is the station of the Kintetsu Railways, which is also connected to other department stores called Kintetsu Pass'e, mainly dedicated to fashion and accessories for women, in addition to the usual food area in the basement floors and a library on the eighth floor (Hoshino). A skyscraper built in 2007 which is currently the tallest building in the city of Nagoya (247 m). It is located almost in front of the east exit of the JR Nagoya Station (Sakuradori exit). The skyscraper is home to a number of cafes, boutiques and luxury stores in the first three floors of the building (such as Cartier, Dior, Valentino), various expensive restaurants of Japanese and international cuisine on the 4th floor, a cinema on the 5th floor, and some panoramic restaurants at 41° and 42° floor. On the first floor there is also a showroom of Toyota and Lexus. 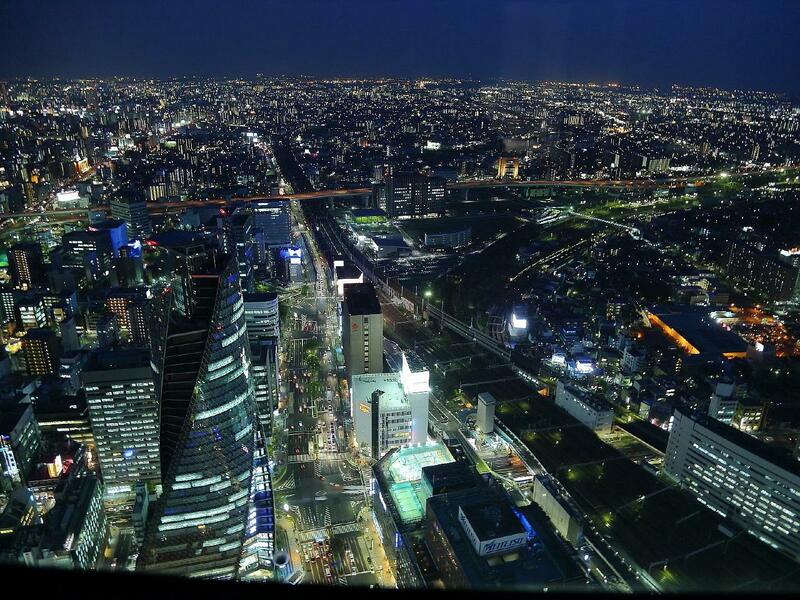 On the 46th floor you can access the Sky Promenade (admission 750 yen, opening hours 11-22, up to 23 jul-sep, 13-21 jan-feb), an observation deck with a beautiful 360 degree view of the city. Part of this observatory is open air and this makes it the highest outdoor observatory of Japan. A few minutes walk from Nagoya station are also other places of interest. The main fish market in the city of Nagoya, open from Monday to Saturday between 4 and 10 in the morning. A good alternative to the famous Tsukiji fish market in Tokyo, it is located about 700 meters east of Nagoya station (see map below). Noritake is a Japanese company founded in 1876 specialized in the export of Japanese products in the West, and that around the end of the nineteenth century began to specialize in the production of ceramics and porcelain. Today, Noritake is considered one of the most important Japanese companies in the industry and has its headquarters in Nagoya. The Noritake Garden is a converted factory building of the company, now it is a multi-purpose center, with restaurants and shops (including a factory outlet of the company), a showroom (opening hours 10-18) of the current company's products, an art gallery (Noritake Garden Gallery, free admission, opening hours 10-18), and a museum, all surrounded by a beautiful garden. The Noritake Museum (admission 500 yen, opening hours 10-17) houses a collection of various items produced by the company since its founding, and also includes a craft center where they explain the process of production of porcelain and you can also participate in some workshops. 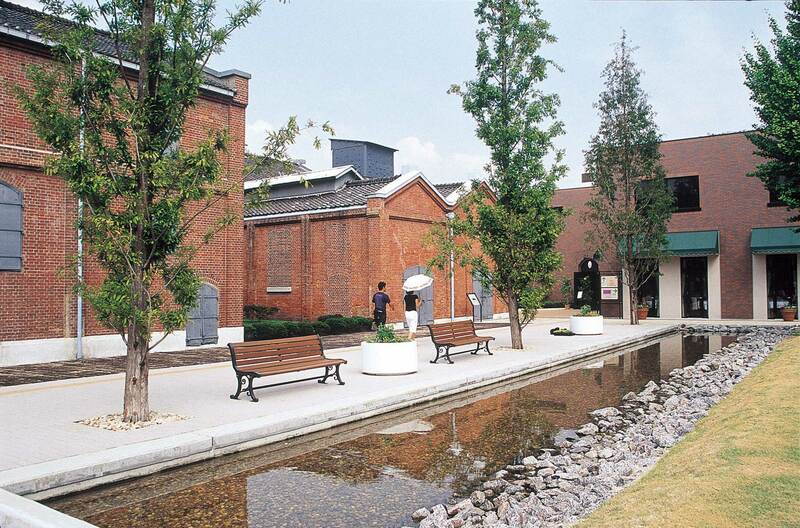 This museum, commonly known as Toyota Techno Museum, is located in a former textile factory of Toyota. Before becoming the largest producer of cars in the world, Toyota was born as a manufacturer of textile looms, and continues to do so today although it is globally known as a car manufacturer. Within this museum you can retrace the history of Toyota from its origins, and the operation of the production processes, with a pavilion dedicated to textile machines and a pavilion dedicated to cars. 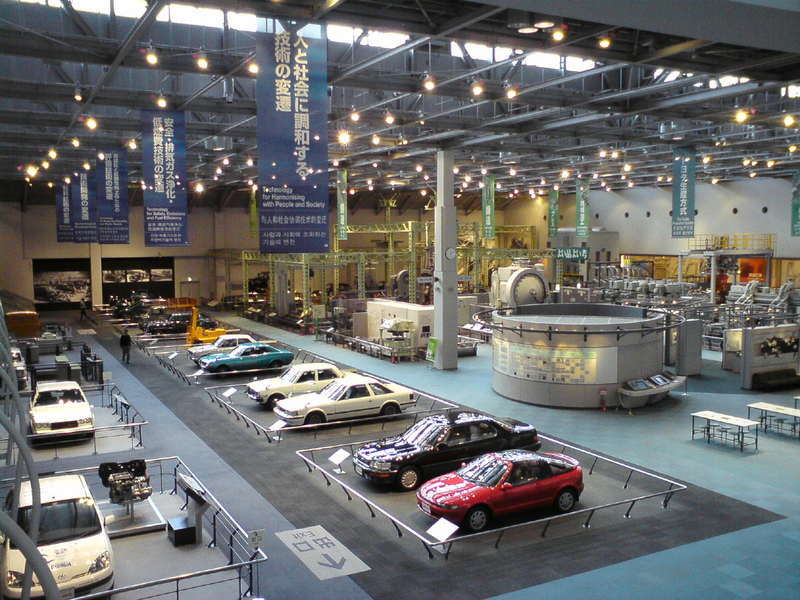 Other attractions related to the famous Japanese automaker can be visited in the town of Toyota. The area around Nagoya station, although it is pretty much the most central area of the city along with the nearby Sakae, is an area where you can find really affordable accommodation, and in general rates of all categories of hotels are much lower than in other places like Tokyo or Kyoto. The area of Meieki is therefore highly recommended to stay during your stay in Nagoya. The Nagoya Eco hotel is the cheapest accommodation of all in Nagoya that can be booked on the internet on non-japanese websites not in Japanese, and it is located just 100 meters from the west exit of JR Nagoya station. It offers single private rooms for 2500 yen per night, and private double rooms for 2,000 yen per person per night, and all rooms have TV and air conditioning, bathrooms are shared with other guests. Perfect for backpackers and penniless in general. Nearby the station are also numerous business hotel, including the most popular hotel chains in Japan: the Sunroute Plaza Nagoya and the Toyoko Inn Nagoya-eki Sakuradori-guchi (east side), the Chisun Inn Nagoya (west side). If you are looking for medium or high level hotels, you may find some great bargains compared to the rates you would pay in Tokyo for a same level hotel. For example, the Meitetsu New Grand Hotel (single rooms on offer from 8000 yen), the Royal Park Hotel The Nagoya (single rooms on offer from 10000 yen), or the Mercure Nagoya Cypress (double rooms on offer from 16000 yen). 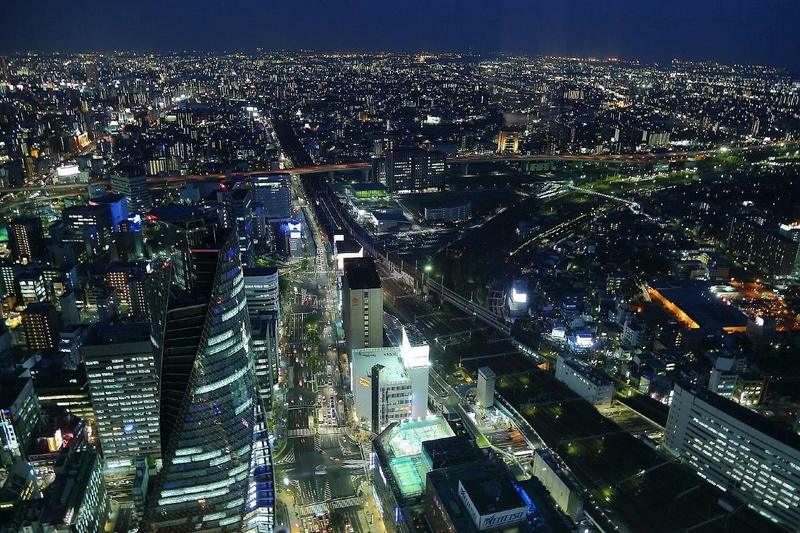 If you are looking for an experience out of the ordinary, the aforementioned Nagoya Marriott Associa Hotel on the upper floors of one of the JR Central Towers is a 5-star hotel which offers rooms with breathtaking views over the city. As already explained in the guide, "Nagoya station" is actually a series of three adjacent stations of three different railway companies, which become four counting the subway too. Just use the subway to move within the city of Nagoya from this station. Nagoya station is served by two subway lines, the Higashiyama line and the Sakuradori line. The JR station is served by the Chuo Main Line, Kansai Main Line, Takayama Main Line (only limited express trains to Takayama) , and the Tokaido Main Line. This station is also the only stop in Nagoya of the Tokaido shinkansen (high-speed train) connecting Tokyo and Osaka. The Meitetsu Nagoya station can be useful to get to Nagoya Airport (Centrair), Gifu and Inuyama. The Kintetsu Nagoya station is served by the Nagoya line (usually useless for tourists).